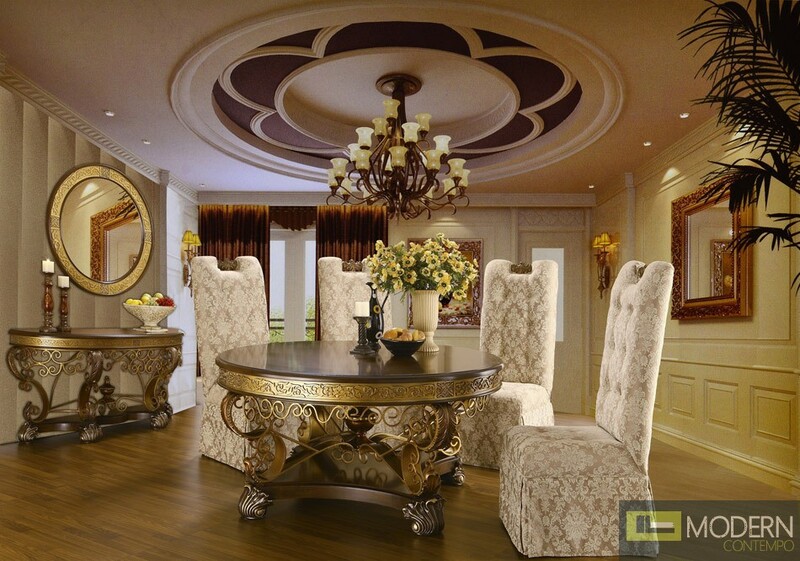 Our distinctive, high quality and Luxurious dining room sets that make a grand statement in every home they rests in. Our design thrives to provide a stunning Quality with amazing prices. This traditional dining set brings a grandiose statement of elegance to any home. 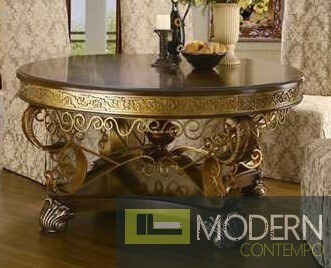 The 60-inch diameter round table is a combination of fine carved wood, and gold tones. The gorgeous base requires an instant attention, while the fabric chairs offer highest comfort while dining or entertaining. Hand crafted filigree pattern adorns the coordinating mirror with classic elegance over the entrance table. This elegant dining collection with its brown and gold tones will brings unforgettable style to your home making it look and feel like a grand villa.